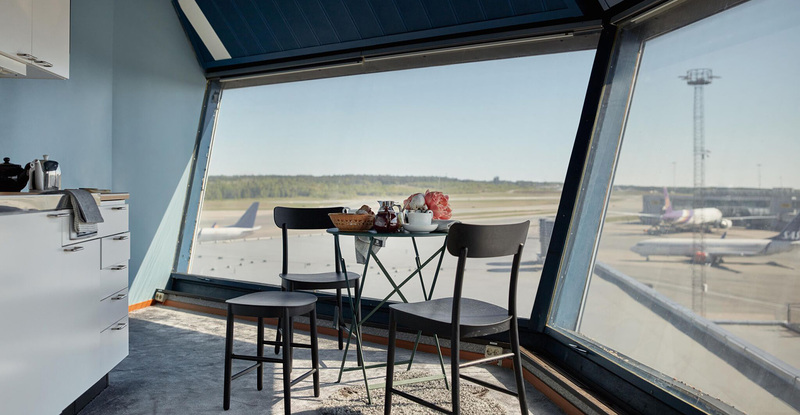 An old fight control tower in Stockholm‘s Arlanda Airport has been transformed into a unique luxury apartment that offers panoramic views of planes taking off and landing – and you can spend the night there. 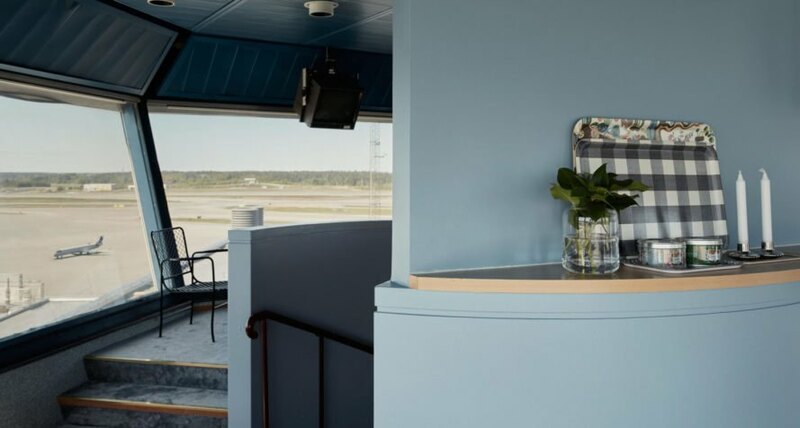 Swedish artist and designer Cilla Ramnek and the Arlanda airport teamed up with vacation rental company HomeAway and Swedavia to give the old tower a complete makeover. Now, the unique living space is perfect for aviation geeks and those who dream of sleeping hundreds of feet in the air. The 262-foot-high tower is located directly next to the runway, which makes it a perfect sport from which to observe plane take off and land. Cilla Ramnek designed the interior in a retro sixties style and furnished it with products already available for purchase inside Arlanda. Right now, HomeAway is giving away the opportunity to spend the night in the high-flying tower. Five winners of the competition, which will run until the end of July, will have the opportunity to stay in the apartment for a night, and enjoy a meal at the Pontus in the Air restaurant. The winners can bring guests and, after the stay in the tower, choose other HomeAway rentals for three more nights. A disused fight control tower in Stockholm's Arlanda Airport was transformed into a unique luxury apartment that offers panoramic views of planes taking off and landing- and you can spend the night there. 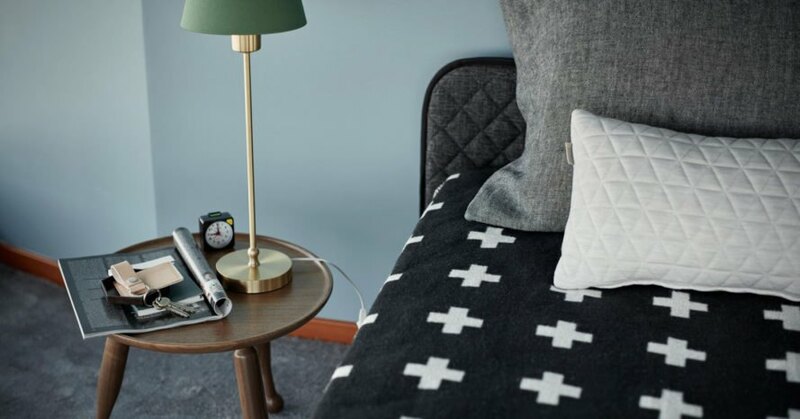 Swedish artist and designer Cilla Ramnek and the Arlanda airport teamed up with vacation rental company HomeAway and Swedavia to give the old tower a complete makeover. Now, the unique living space is perfect for aviation geeks and those who dream of sleeping hundreds of feet in the air. 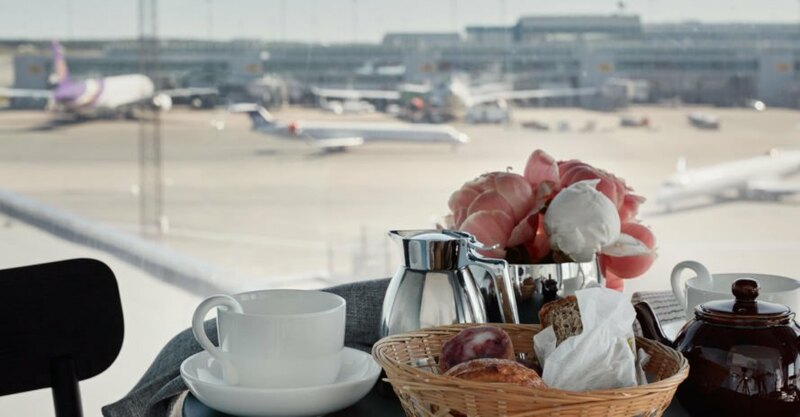 Arlanda teamed up with vacation rental company HomeAway and Swedavia to give the old tower a complete makeover and transform it into a unique living space for aviation geeks and those who like to stay in unusual spaces. The 262-foot-high tower is located directly next to the runway, which makes it a perfect sport from which to observe plane take off and land. Swedish designer Cilla Ramnek designed the interior in a retro sixties style and furnished it with products already available for purchase inside Arlanda. Five winners of the competition, which will run until the end of July, will have the opportunity to stay in the apartment for a night, and enjoy a meal at the Pontus in the Air restaurant. The winners can bring guests and, after the stay in the tower, choose other HomeAway rentals for three more nights. 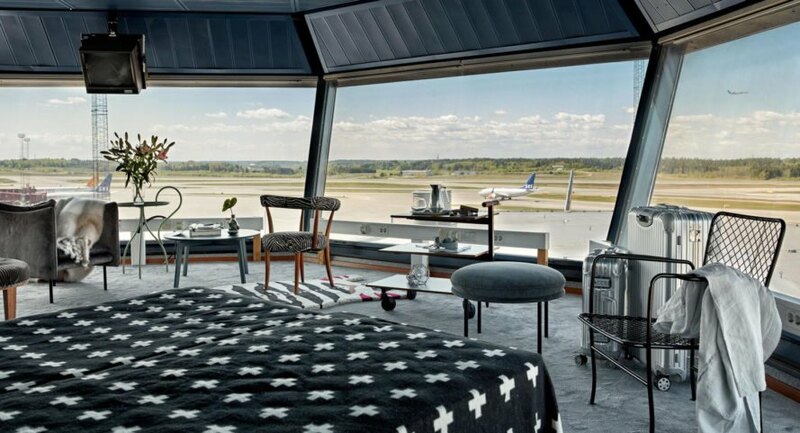 An old fight control tower in Stockholm's Arlanda Airport has been transformed into a unique luxury apartment that offers panoramic views of planes taking off and landing - and you can spend the night there. 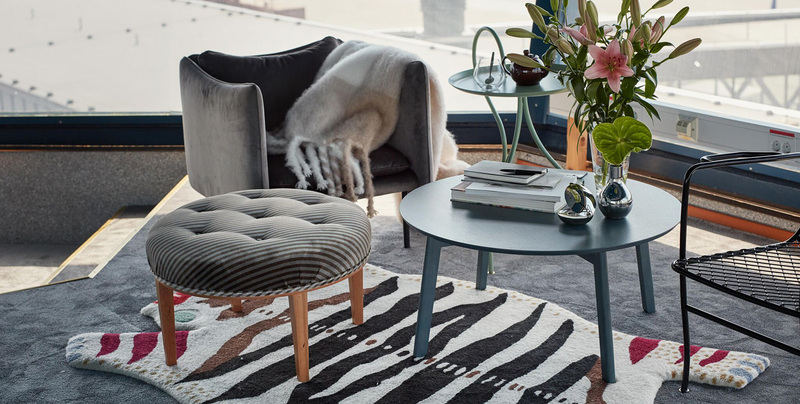 Swedish artist and designer Cilla Ramnek and the Arlanda airport teamed up with vacation rental company HomeAway and Swedavia to give the old tower a complete makeover. Now, the unique living space is perfect for aviation geeks and those who dream of sleeping hundreds of feet in the air.